Alexa arrives on LG’s 2018 OLED and Super UHD TVs | What Hi-Fi? The compatible LG ThinQ AI TVs now support both Amazon and Google voice assistants. Earlier this month, LG announced Google Assistant support for its 2018 OLED and Super UHD TVs with ThinQ AI (LG’s artificial intelligence technology). And now hot on the heels of that news is their support of Amazon's Alexa voice assistant too. 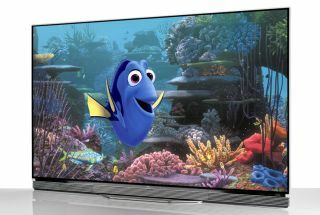 That means owners of the compatible TVs (which include the LG OLED55C8PLA and OLED55E8PLA 4K OLEDs we’ve already had in our test rooms) will be able to control their telly with their own voice through their Alexa-enabled device - whether that be an Amazon Echo 2, Echo Plus, Echo Dot or Echo Show. Commands include switching channels, adjusting volume, browsing content, fast-forwarding programmes and launching apps. Those that have bought into LG’s wider AI ecosystem will be able to ask Alexa to, say, turn their air purifier or ice maker on or off, or start their robotic vacuum.